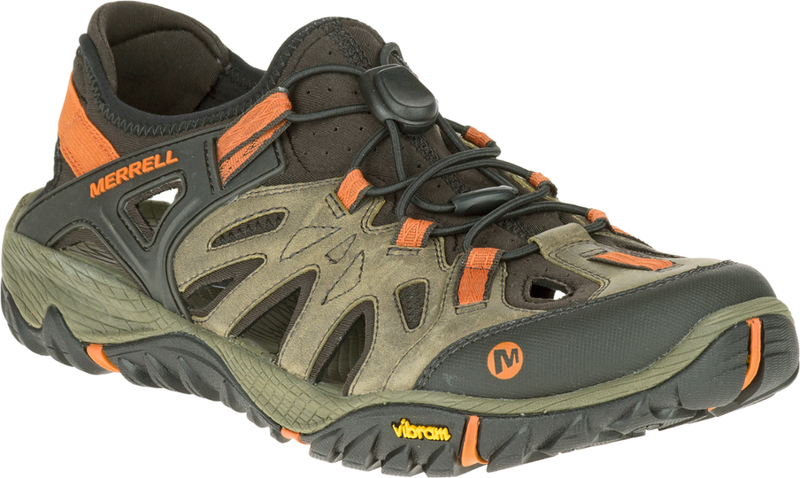 Almost a shoe and almost a sandal, these true hybrid watershoes are open and breathable for hot and wet environments yet protective in critical areas. 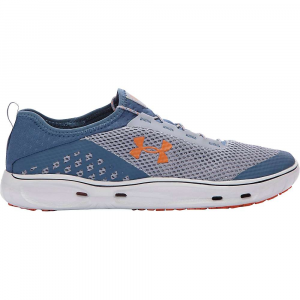 Ultralight monofilament mesh, synthetic overlays and ripstop nylon uppers let water flow freely from shoes and dry quickly for full-time comfort. Unique 360-degree drainage system allows excess water to escape in all directions for enhanced comfort and performance. 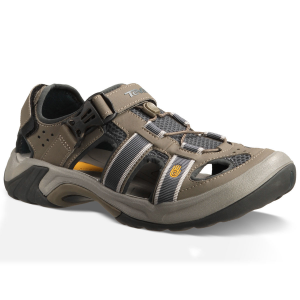 Custom fit uppers with adjustable strapping at heel, forefoot and instep; Liquid Frame™ design secures entire foot with webbing sub-structure. 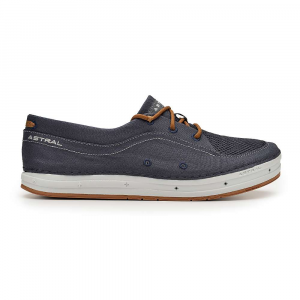 Drain-Tech molded insoles add cushioning while perforations allow water to escape so feet don't have to swim. Dual-density EVA midsoles with encapsulated Shoc Pad™ absorbs shock and transfers it to rest of midsole for enhanced push-off energy. Equipped with Protection Web™ technology--a heel-to-toe coated fabric that supplies lightweight impact protection without inhibiting flexibility. 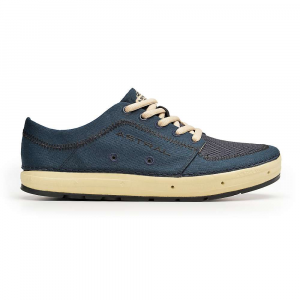 Durable Stealth® F64 sticky rubber outsoles provide superb traction on wet and dry surfaces. The Rydecker Pro has been discontinued. 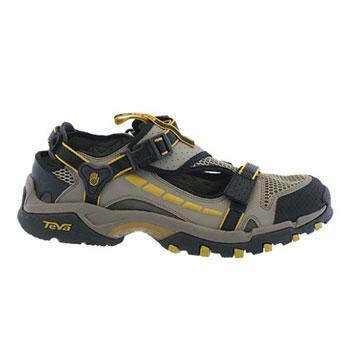 The Teva Rydecker Pro is not available from the stores we monitor. It was last seen June 3, 2007	at REI.